With a growing userbase of more than 2 billion, Facebook has increasingly become a popular platform for advertisers. Advertisers must be aware of the various metrics Facebook uses in order to determine the relevancy and effectiveness of advertiser ads. Facebook always presents the most pertinent ads before a user and relevance is one of the biggest factors in achieving better ad rankings on Facebook. 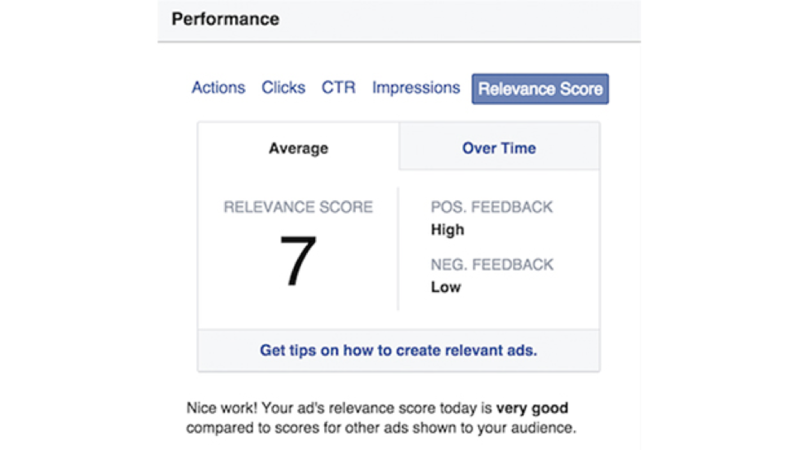 Facebook Relevance Score is a metric that Facebook uses to determine how well your ad is performing on the Facebookadvertising platform. The higher the relevance score, the better the chances are of reaching your target audience. Ad relevance score isjudged on a rating between 1 and 10, with 10 being the highest and 1 the lowest. If you buy ads with guaranteed delivery like those bought through reach and frequency then such ads are not impacted by relevance score. How is the Relevance Score Calculated? Relevance score is calculated based on the positive and negative feedback received from your target audience(s). The feedback is provided by people in real time and Facebook calculates the number of positive interactions an ad receives. You can check the relevance score by clicking on the Performance and Clicks reportin the Ads Manager as displayed in the below screenshot. Every advertiser wants to increase ROI from their marketing campaigns. Having a good relevance score improves your ROI and improves the bottom line of every advertisement campaign. 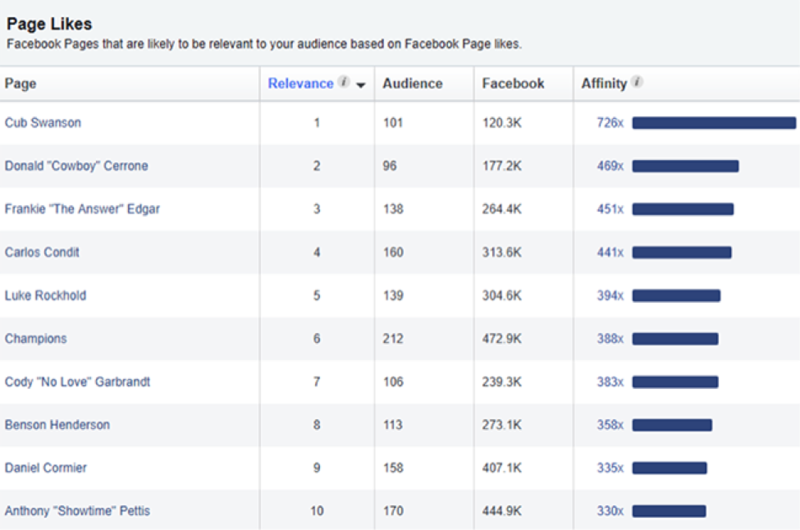 Here are the top reasons why relevance score matters when you are advertising on Facebook. Low cost of reaching new audiences– Having a high relevance score means you need to pay less in order to reach your target audience. 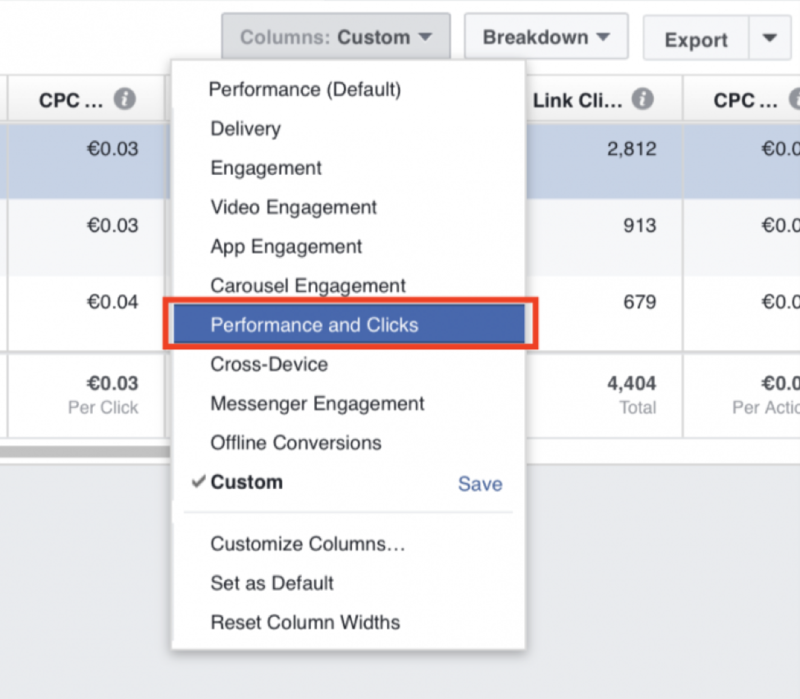 In other words, Facebook will charge a low CPC which will increase the number of impressions your ad receives. (Please note that relevance score is not the only factor for ranking ads, the bid placed by the advertiser also matters. Suppose your relevance score is good but the bid is below average then your ad might receive less impressions). Offers a testing ground for ads before running larger campaigns– If you are planning to run a large campaign then you can check the relevance score for each ad combination prior to starting the entire campaign and identify which combination works best. Regular monitoring of relevance scores helps to optimize campaigns – If you regularly monitor the relevance scores of your ad combinations then you can easily gauge the effectiveness of every ad campaign, thereby optimizing the ones that have lesser scores. 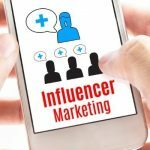 This will lead to higher visibility and increased leads. Achieving a score of 10/10 is difficult but not impossible. If you aim for a perfect 10/10 score then definitely you will get great scores for your ad campaigns. Your target audience must match the type of ad. If you are displaying a picture of food and targeting tech enthusiasts then such a combination will lessen the relevance score. 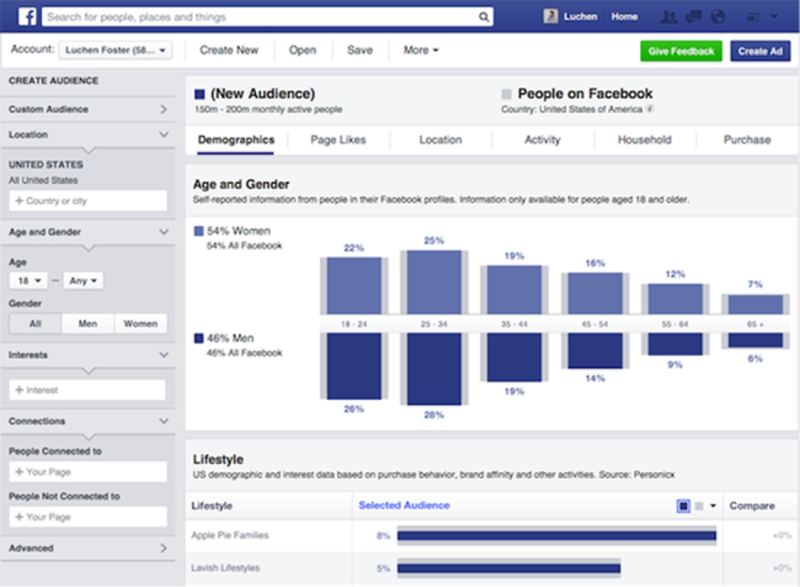 Use the audience insights tool to identify audiences based on the individual pages they like. Opt for affinity scores of 100 and above because this means your target audience is 100 times more likely to like your page. 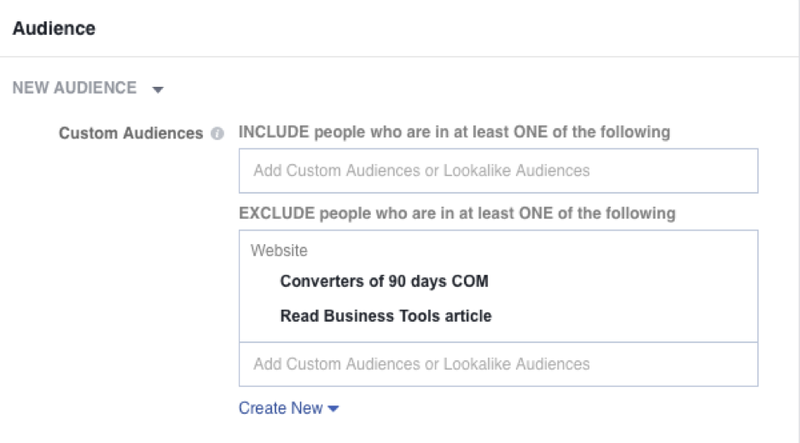 Use the age filter in Facebook Ads Manager to gain valuable insights about the age group of your target audience who are regularly buying your product/services. 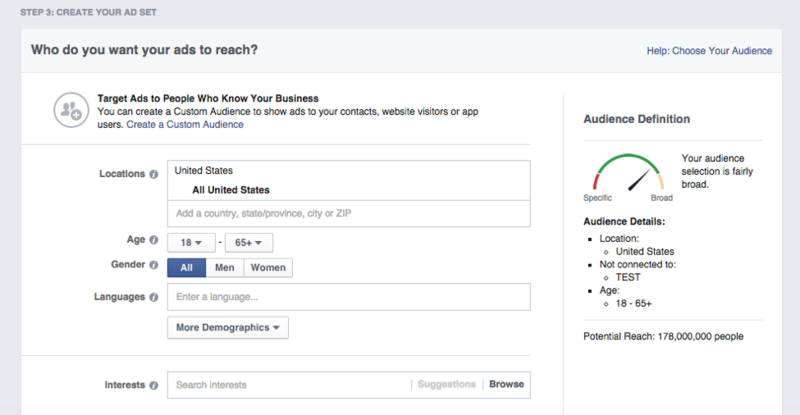 You can then create specific ads to target audiences in that age bracket. Ensure that your ads are eye-catching and valuable. Ads that don’t attract the audiences or don’t offer value are less likely to be clicked. It is recommended to create proper buyer personas in order to have a better understanding about the likes and dislikes of your target audience. Use “retargeting” to target audiences who have previously engaged with your ads and website. 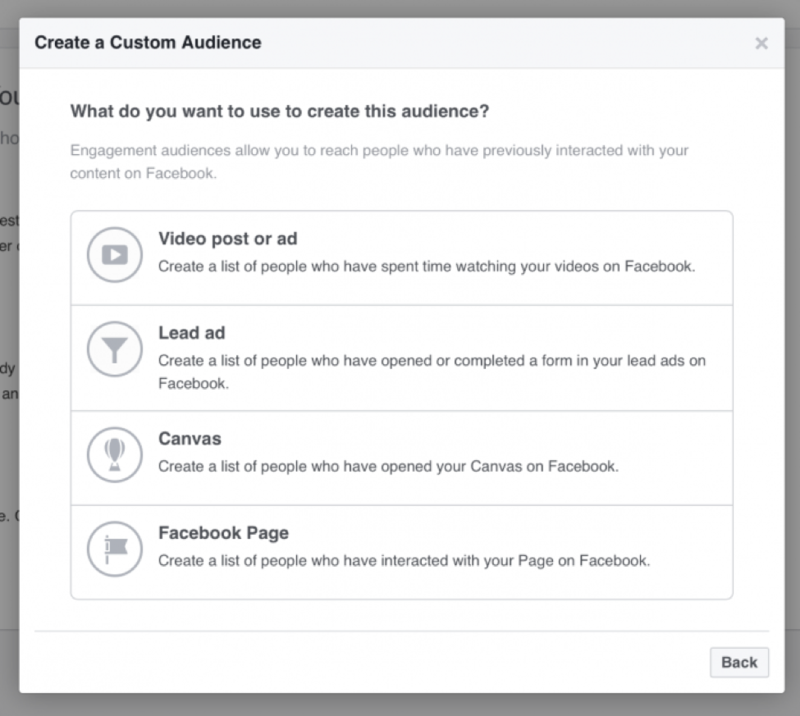 You can do so by creating a Facebook Custom Audience and then displaying ads to that set of audience. This tactic is extremely beneficial to achieve high relevance scores. You can also create Facebook video ads instead of image ads as video ads have higher engagement rates. Create location specific ads because people who reside in NYC won’t order a pizza from Atlanta. I have seen tons of advertisers waste a lot of money creating ads that aren’t location specific. Exclude converters from the last 90 days as this will ensure you are not annoying customers who have already purchased your products in the recent past. You can use the EXCLUDE feature in the custom audience section to exclude all the converters. Last but not the least, constantly test and improve the relevance score of your ads by conducting A/B testing. Follow the words of Facebook which says “Relevance scores should not be used as the primary indicator of an ad’s performance. As has long been the case on Facebook, the most important factor for success is bidding based on the business goal you hope to meet with an ad.” Happy advertising!